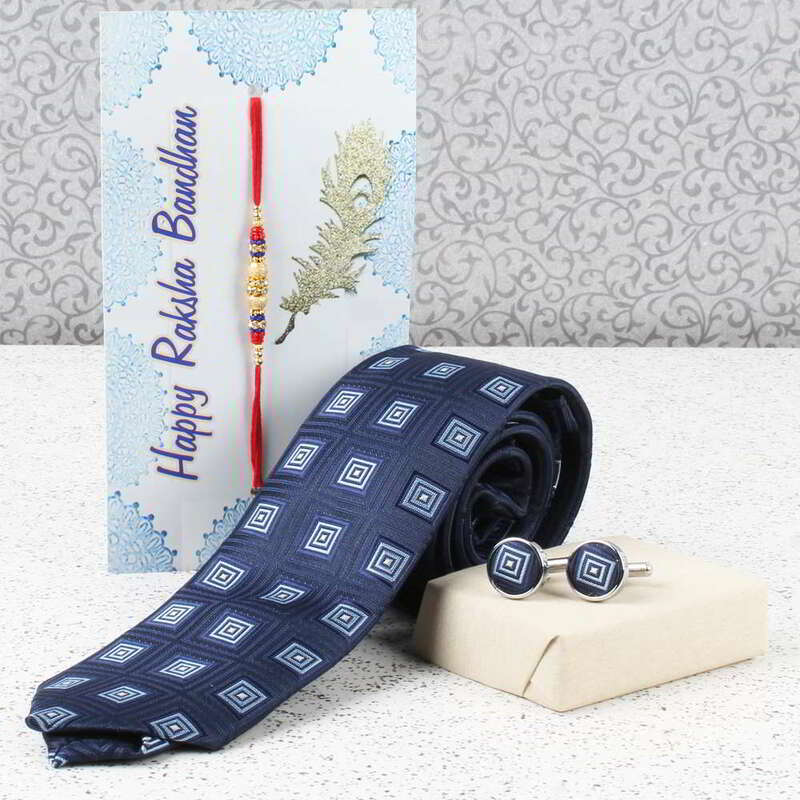 "Shower your love for your brother on the eve of Raksha Bandhan with this super cool gift pack which has a Navy blue weaved printed tie along with matching cufflinks and a multicolored Rakhi thread. 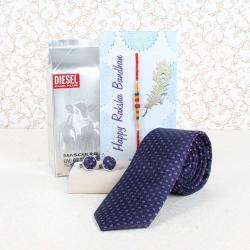 This special pack will bring a big smile on their face and will make them feel your love. 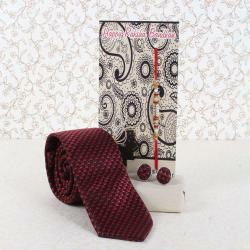 The look of the tie is very classy with matching cufflinks. 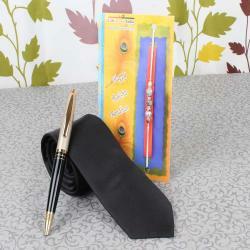 This gift will be memorized for life and will be cherished every time being used. The multicolored Rakhi tied on the matching decorative card looks super cool. 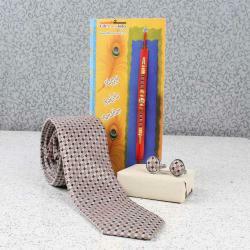 Send your love with this stylish pack and beloved forever. 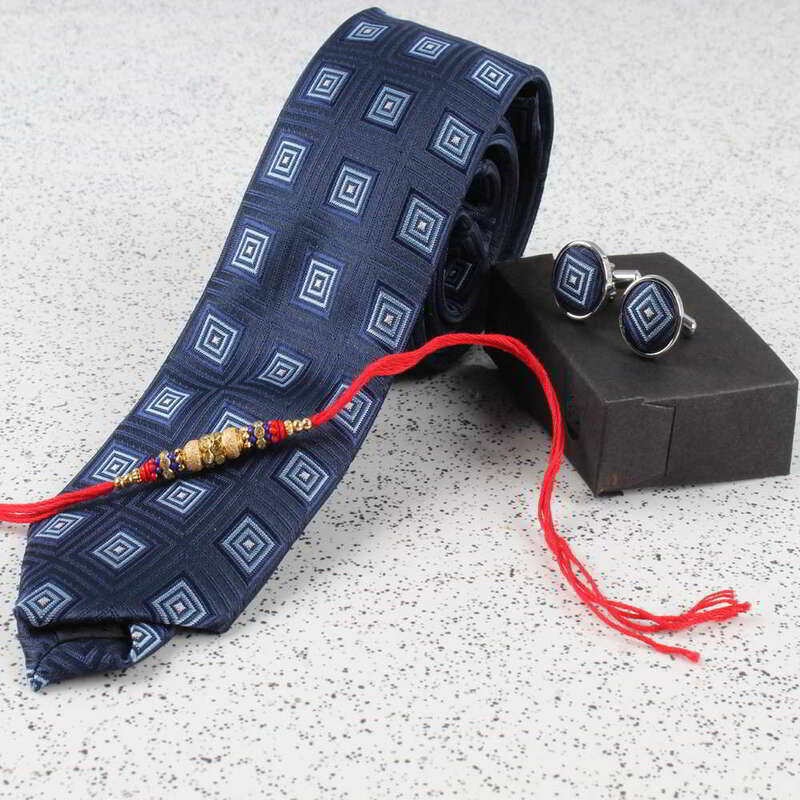 Product Consists: Navy Blue Weaved Printed Tie and Matching Cufflink Set along with Rakhi Thread. "